Welcome to Sink Hollow Farm - Welcome to Sink Hollow Farm! We are proud to sell ROWE Nutrition Feed. Please contact Randy 815-499-1374. 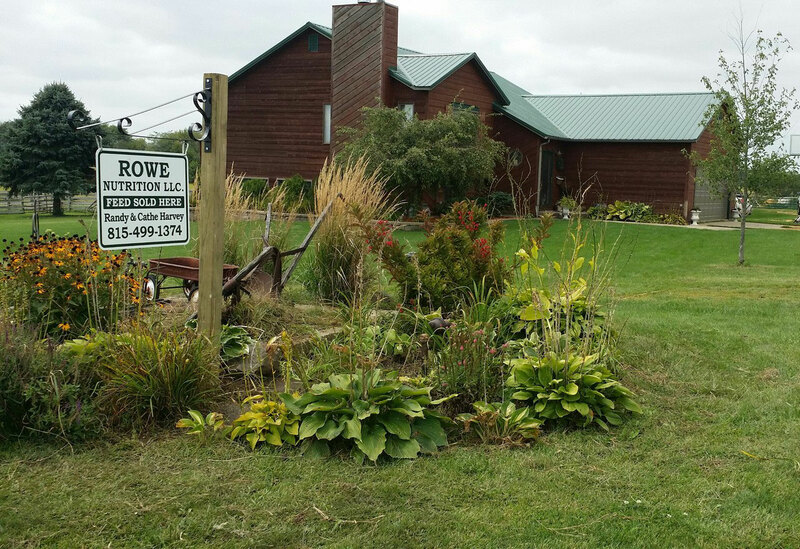 Welcome to our farm, located at 1781 Sink Hollow Road, Dixon, IL. 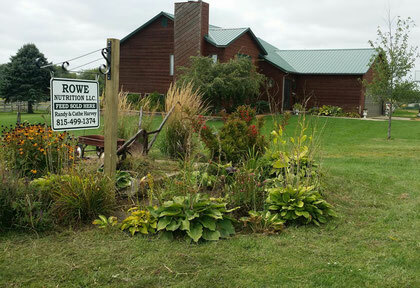 We are located in north west Illinois on a 7 acre farmette. We have many critters and they are all near and dear to us. Please inquire if you are interested or have any questions. We were honored to have a beautiful article written about our farm. It appeared in the Dixon Living magazine; written by Andrew Hey. 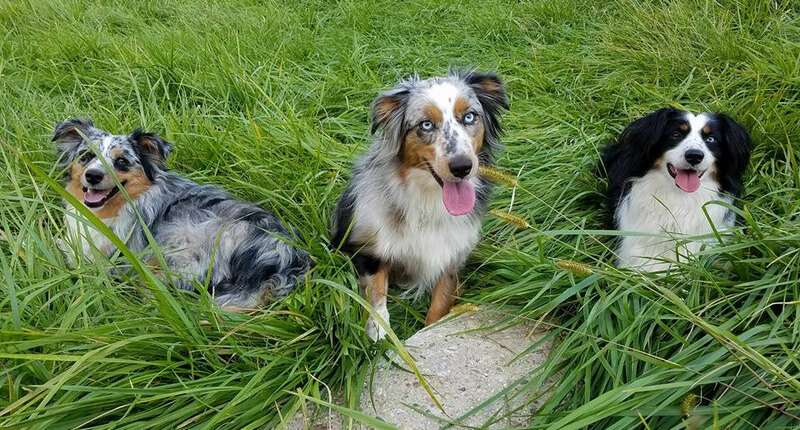 Nahla, Abby, and Murphy, our miniature Australian Shephards. Our farm also includes many other critters. Pictured to the right is Nahla, Abby, and Murphy. They are miniature Australian Shephards and we love them! Our barn cats do their job with keeping the mice at a minimum! We have adorable fainting goats. What farm doesn't need a fainting goat? A variety of poultry can be seen and heard. We have a beautful pair of Royal Palm turkeys - Mr. and Mrs. Clipper. And, of course our miniature donkeys keep a watchful eye over all our farm! Flemish giant rabbits and English spot rabbits are the breeds we carry in our rabbitry - Harvey's Hoppers. 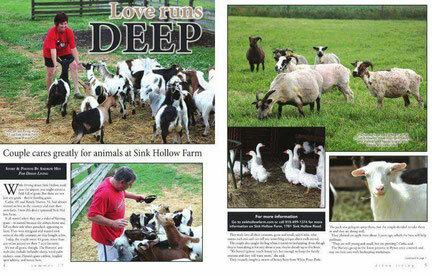 We love our life at Sink Hollow Farm! Madison put on a fresh coat of paint the make our couple "like new" again!